HECATOMB were a Death Metal band from Australia during the early 90´s. Members went on to BLOOD DÜSTER and later ABYSSIC HATE. 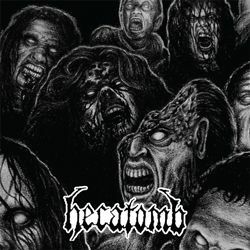 This release is a complete collection of the band´s recordings: ´Hecatomb´ (1991); ´Deep Sleep Therapy´ (1992) and the track "Never Ending Terror" re-recorded for the compilation ´Redrum: The Roadrunner (Australasia) compilation´ (1993). All recordings remastered by Goatsound for this compilation.